"I have been looking at my tone in 2D all along. Bartolini has given 4D capabilities in every way. My Reggae tone is light-years better than it ever has been." Growing up the fertile soil of the Southern Oregon music scene, Benny never thought he would be a Bass player. Although he grew up in a fairly musical household, he did not discover his own voice and creativity until he picked up Guitar at the age of 16. Attending local open mics for years and developing his singer-songwriting lead him to joining a band of brothers that is now called Sol Seed, a very active Reggae Fusion band popular all over the NorthWest, touring coast-to-coast as hard-working professional musicians and, to this day, with 3 full albums released under their belts. Benny picked up the Bass Guitar for Sol Seed; and will never go back. 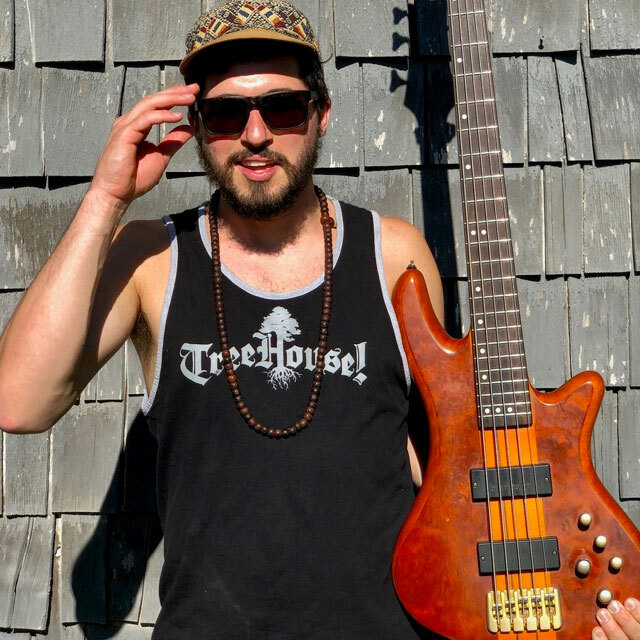 The unconventional rhythms, pocket style, tasty grooves and “playing the negative space” involved in Reggae Bass is as addicting to play as it is to listen to. Singing harmonies and rapping hip-hop-style verses while grooving the low-end, you will find Benny performing with his band in cities across the country with a smile on his face.